Catch subscribers’ attention like Mr Miyagi caught flies with chop sticks! Just recently I heard about a company that quit their email marketing for a very strange reason: business was doing well, and they’d only need email marketing if things would turn ugly for them. How strange is that? There are several reasons email is fantastic as a marketing channel compared to other (online) marketing channels in terms of building a relationship with prospects, clients and subscribers. One of those reasons is the little effort you can put in to be succesful at basic email marketing compared to other channels. Sending out a basic newsletter which is correctly personalized -and- segmented to meet a receiving person’s preferences goes a long way to establish your reputation and a relationship with the receivers. Also, the next level isn’t that hard to reach: running campaigns and integrations with your crm system(s) can take some time to get fully implemented, but the rewards are massive. There will be no more separate data silos anymore, and automated email campaigns will save a lot of time and keep your email lists alive and kicking. However, one of the most important reasons you should employ email as primary marketing channel is money. Lots of it, actually, compared to what you put in. According to a DMA USA report (2011), email returns more than $40 for every dollar invested. Search does about $22, and catalogs $7. Talk about performance! How about that other channel, social media? The trouble is, using it as a marketing channel can’t be done (effectively) by all types of companies. 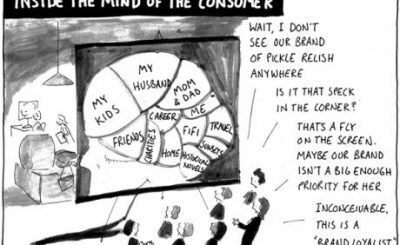 Some companies will be succesful, others will mostly apply social media for webcare or creating a fan base – but directly for marketing: not so much. Just yesterday, GM decided to quit their Facebook advertising altogether according to Mashable, citing its ineffectivity: they have little impact on consumers. Don’t just let email be a last resort marketing channel: make it the champion, the spider at the center of the web to grow all your online marketing efforts. It will pay off if you put in some time and effort. I love the mister Miyagi reference and I might use it myself, being a true email ninja honour roll alumni just like you Remy. But maybe it’s more a wax-on wax off, hard work thing, because mister Miyagi never caugth that fly now did he? 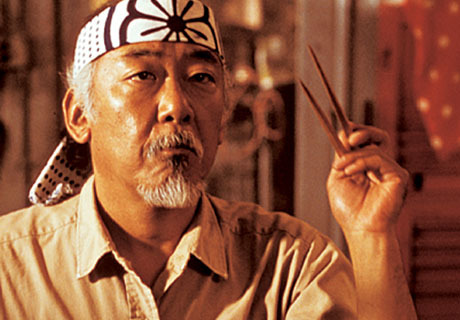 Agreed with Jordie…”Catch subscribers’ attention like Mr Miyagi caught flies with chop sticks!” is all someone would need to say to me to get me hooked on email marketing.